Brenda Rasch PT, PC, HTCP/I, GCFP, has a B.S. from Duke University and is a graduate of the Master of Science in Physical Therapy program at Boston University. Brenda has been a Healing Touch Certified Practitioner since 2003, Instructor since 2011 and was a charter member and former Board member of Healing Touch of East Tennessee. 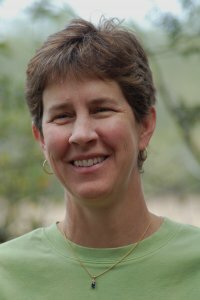 She has a Holistic Physical Therapy practice and incorporates Healing Touch, physical therapy, the Feldenkrais Method®, Bowen Technique and tuning forks in her work with clients. During thirty years of Physical Therapy practice she has specialized in working with autoimmune diseases and chronic pain, orthopedics, manual therapy, therapeutic exercise, and industrial medicine. She works with individual clients as well as teaching Healing Touch, Feldenkrais Method, and meditation classes and workshops. She is a graduate of the Embodied Life™ Program with Russell Delman in California. Her practice is to help each individual reach their full potential by moving out of pain and discovering ease and joy in movement and life.